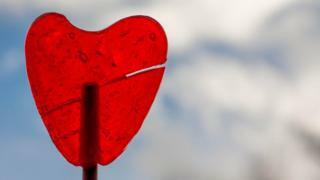 A condition known as "broken heart syndrome" may cause longer-lasting damage than previously thought, a study has found. Aberdeen University researchers looked at 52 patients with Takotsubo syndrome. It can be triggered by severe emotional distress, such as the death of a loved one, and can cause temporary heart failure. Until now, it was thought the heart fully recovered, but the findings suggested more long-term damage. The condition affects more than 3,000 people a year in the UK. However, it is sometimes seen in people who have not had any acute emotional stress or bereavement. Symptoms are similar to a heart attack and the syndrome, which mostly affects women, is usually diagnosed in hospital. This latest research, funded by the British Heart Foundation (BHF), has been published in the Journal of the American Society of Echocardiography. The team from Aberdeen used ultrasound and cardiac MRI scans to look at how the patients' hearts were functioning. The results suggested that the syndrome permanently affected the heart's pumping motion, delaying the twisting or "wringing" motion made by the muscle during a heartbeat. The heart's squeezing motion was also reduced. The researchers also found that parts of the heart's muscle were replaced by fine scars, which reduce the elasticity of the heart and prevent it from contracting properly. They said the findings may help to explain why takotsubo sufferers have similar long-term survival rates to people who have had a heart attack. Dr Dana Dawson, who led the research, said: "We used to think that people who suffered from takotsubo cardiomyopathy would fully recover, without medical intervention. Figures have shown that between 3% and 17% of people with the syndrome die within five years of diagnosis. Some 90% of sufferers are female and a stressful trigger is identified in about 70% of cases. Prof Metin Avkiran, associate medical director at the BHF, added: "This study has shown that in some patients who develop Takotsubo syndrome various aspects of heart function remain abnormal for up to four months afterwards.